​The designer was Enterprise Engineering of Peshtigo. 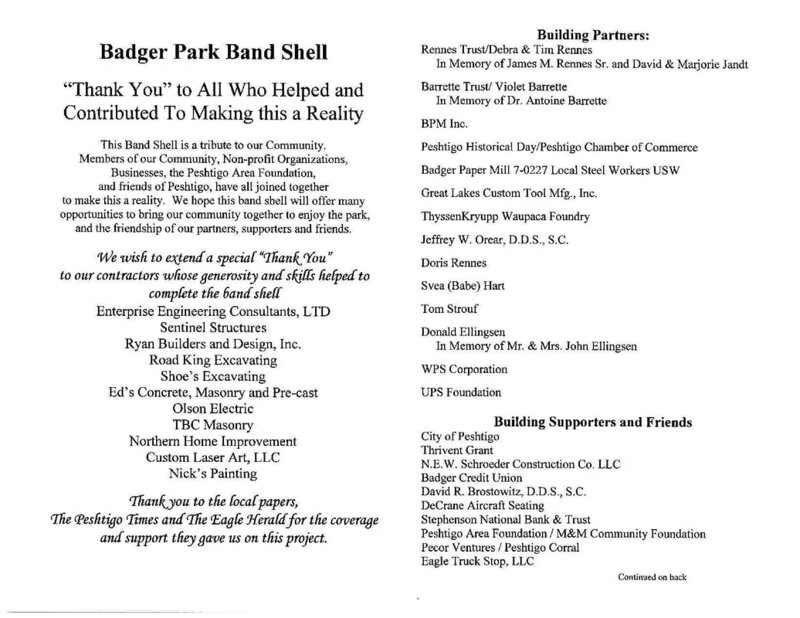 The cost was $65,518 with funding for it raised on a three-tiered donation structure. 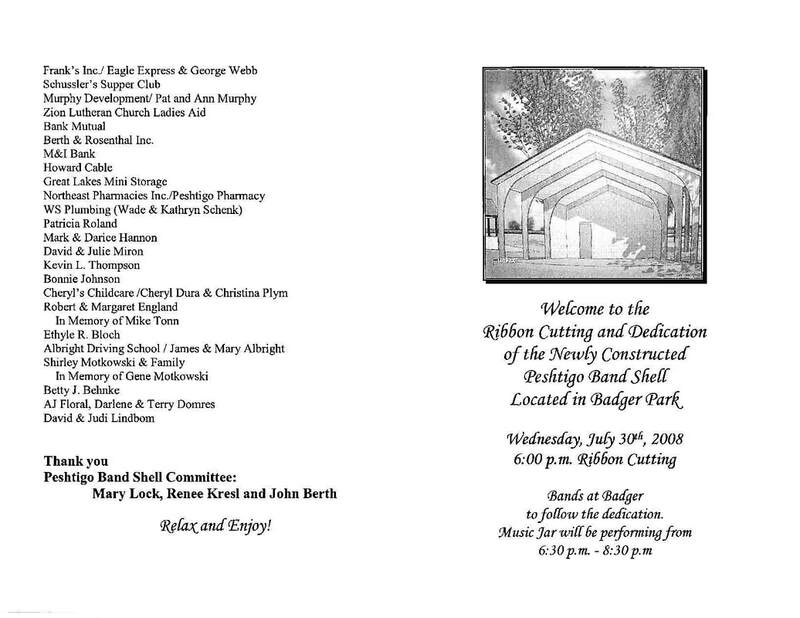 The ribbon cutting ceremony program lists many of the donors. Several black granite plaques are mounted across the back wall of the shell with some them in memory of individuals: David and Marjorie Jandt were local large-scale produce and dairy farmers, and James M. Rennes was a local prominent businessman who was in the process of developing a nursing home. Both were honored by Debra and Timothy Rennes (son of James and son-in-law of the Jandt's). Dr. Antoine Barrette was a local family medical doctor who served most of his years in medical practice in the community and was honored by Violet Barrette. Other plaques honor the businesses who contributed and supported the building of the shell. Concerts are held twice per month during the summer. It is also used for community festivals and weddings.